One of the most common misconceptions about acne is that it only affects people in their teens and early twenties. However, blemishes and breakouts can take place at any stage of life, including your thirties, forties, fifties, and beyond. If you have been searching for a skin care line that caters to acne-prone and aging skin, you won't have to look far. To deal with acne and age-related issues, it is essential that you choose the best acne treatments. A proper routine will keep your skin healthy - without making it appear greasy, oily, or prematurely aged. Paula's Choice is known for their scientific approach to beauty. In an article from The Cut about the company, brand founder Paula Begoun (also known as the Cosmetic Cop) says Paula's Choice applies up-to-date research to their formulas: "On every one of our products' pages, we list all of the research that backs our ingredient selection and our product claims." It has become a highly regarded brand, with both Allure and Refinery29 recommending their products. Customers have raved about their wide range of items (particularly the RESIST line), praising the non-irritating formulas and overall effectiveness. RESIST Perfectly Balanced Foaming Cleanser. This works to remove any dirt and oil without causing unwanted dryness. 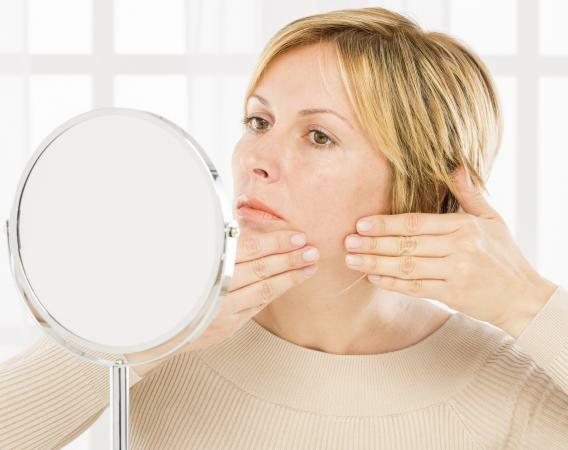 This is important as dry skin can make signs of both acne and aging more obvious. For about $20 a bottle, it is an affordable addition to your daily routine. SKIN PERFECTING Two Percent BHA Liquid. This product combats bumps and breakouts, unclogs pores, and reduces the appearance of wrinkles. The gentle salicylic acid exfoliator costs less than $30 and is formulated to give your skin a more even and youthful look. RESIST Ultra-Light Super Antioxidant Concentrate Serum. Designed to make skin brighter, more hydrated, and younger looking, this serum is a popular choice. Though it has a price tag of around $40, a little goes a long way. It has also been proven to fight signs of aging without clogging pores. 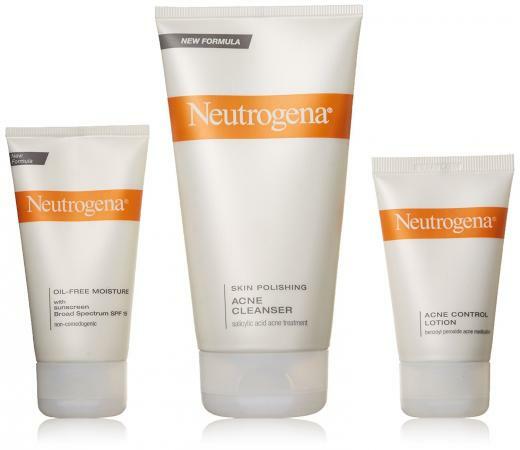 Neutrogena first opened their doors in 1930. Since then, they have cemented themselves as one of the top brands in skin care. This company has a faithful following as countless acne sufferers have relied on their products to treat breakouts as well as fight the appearance of wrinkles, fine lines, and dullness. The rich history of the company - along with their diverse range of offerings for the skin, hair, and body - has helped the brand remain a consumer must-have. Publications that have praised Neutrogena include Elle (who included their Rapid Wrinkle Repair Night Moisturizer on their list of the best anti-wrinkle creams) and Vanity Fair (the Skin Clearing Complexion Perfector was in their article on fighting blemishes). Customer reviews of the brand have been generally positive, with people enjoying the lightweight feel of the moisturizers and serums. However, those with sensitive skin may experience a slight reaction. Ageless Intensives Deep Wrinkle Moisturizing Night Cream. This product (which costs about $18) is designed to reduce the appearance of wrinkles and age spots while you sleep. Plus, it is non-comedogenic, which means it will not clog pores. Oil-Free Acne Wash Pink Grapefruit Cream Cleanser. One of the most popular items from the brand, this gentle face wash is a good product for acne-prone aging skin because it removes unwanted dirt and oil, but it does not overdry or irritate. Find it for less than $10 a bottle. Complete Acne Therapy System. If you do not have a solid routine in place, this three-product set is worth considering. For about $20, you get a salicylic acid treatment cleanser, oil-free moisturizer with SPF, and a benzoyl peroxide lotion. The three products work together to reduce redness, unclog pores, and create balanced skin. Another highly regarded brand is L'Oreal. Founded in 1909 by Eugène Schueller, they are now one of the leading drugstore brands for beauty and skin care. They stand out due to their targeted face products - with creams and serums designed to treat issues at every stage of life. As a whole, they have garnered positive reviews for offering skin care for all ages. In fact, Good Housekeeping included them on a list of products to combat pimples and wrinkles. While customer reviews range from excellent to mixed, the sheer variety makes this a standout brand. Go 360 Clean Anti-Breakout Facial Cleanser. Be sure to add something with salicylic acid to your routine, like this face wash. It loosens up any dead skin in the pores, which prevents them from getting clogged. For less than $6, the cleanser reduces breakouts and works as an anti-inflammatory. 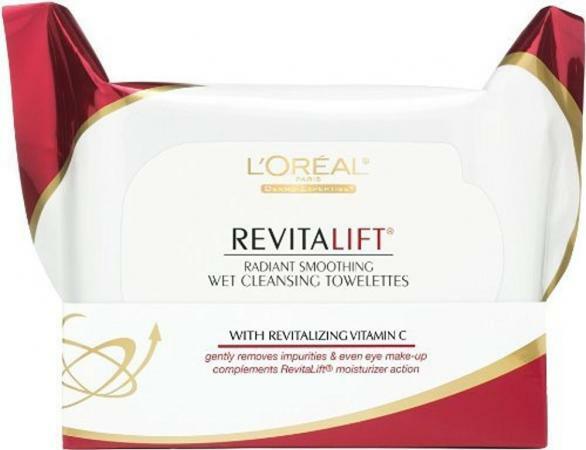 RevitaLift Radiant Smoothing Wet Cleansing Towelettes. It is essential to remove makeup before you go to bed. Sleeping with it on can cause acne and premature aging, according to The Huffington Post. One quick and easy way to prevent this is by using cleansing towels. For about $25 for three packs, these exfoliate, smooth, and protect the skin. Age Perfect Anti-Fatigue Toner. A toning product is vital, as it unclogs pores and prevents common issues like blackheads, whiteheads, and other acne symptoms. At a cost of about $12, this product is designed to cleanse and rejuvenate skin. If you want to add a little luxury to your life, then La Roche-Posay is a brand to consider. They offer a wide range of products for the face and body - including items that deal with dry, oily, and sensitive skin types, as well as acne-prone and age concerns. Their ingredient for success? The antioxidant Thermal Spring Water found in in the town of La Roche-Posay, France. It is now in all of their formulas. This high-end company does not just offer a unique line of products. They also come highly recommended, with Vogue referencing them in their article about adult acne. In addition, user reviews are largely positive, praising the gentleness and the diversity of the line. Effaclar Duo. This is one of the most beloved offerings from the brand, praised for its simplicity and effectiveness. At over $35 a tube, it is not easy on the wallet. However, it is designed to unclog pores, provide the skin with moisture (which can prevent it from appearing aged or exaggerating fine lines), and improve the overall texture of the skin. Pore Refining Anti-Aging Serum. This pore-minimizing serum works to tighten pores and create a smoother, more even texture. It also exfoliates gently and absorbs quickly. It retails for around $45 a bottle. Redermic C. Another skin care option is this facial moisturizer. It contains both Vitamin C (to brighten the skin) and Hyaluronic Acid (which can make acne scars less visible). The lotion plumps and fills the skin, reduces the appearance of wrinkles, and is suitable for all skin types. It is about $55 for a tube and does not irritate. You can find an assortment of Olay products at the department store or pharmacy. Not only are they popular, but the company has been around for decades, dating back to their Pink Beauty Fluid in 1952. Today, they offer everything from body wash to facial cleansers and anti-aging products. Many publications are quick to praise the brand, including Real Simple. Their article on How to Treat Adult Acne and Wrinkles included Olay in their product suggestions. Along with magazines, websites, and blogs, consumers are also reviewing items from Olay. They are mostly positive (especially when it comes to the Regenerist line) praising the availability, visible effects, and reasonable prices. Regenerist Regenerating Serum. This line was designed to smooth skin and fight aging. The serum is lightweight and quick absorbing, plus it has been found to firm the skin and restore elasticity after four weeks. This product boosts hydration and is non-greasy, which means it won't clog pores or encourage acne flare-ups. It is sold for about $27. Total Effects Revitalizing Foaming Face Cleanser. People who struggle with breakouts tend to have sensitive skin. This issue becomes more problematic as you age, so a gentle face wash is a must. This one works to soothe, unclog the pores, and fight common signs of aging. At around $7 a bottle, it suits any and all budgets. Regenerist Night Recovery Cream. Praised by Allure for its reasonable price (under $30) and ability to soften and smoothe, this is a product worth considering for your pre-bed ritual. It is formulated to improve the overall texture and elasticity - and has a non-greasy finish. For some, fighting symptoms of acne like pimples, whiteheads, and blackheads, can be a lifelong battle. Once you reach your thirties and forties, issues like fine lines, wrinkles, and loss of elasticity become more problematic. Changes to the skin require products that treat blemishes as well as the seven signs of aging. The right items can combat issues like dullness, crow's feet, puffy eyes, and acne-riddled skin. If you are unsure about a product, visit your dermatologist or try a sample before purchasing a full-sized bottle. Never give up hope for better-looking skin. At some point in her life, every woman needs to switch up the products she uses. If you are dealing with acne breakouts and have concerns about common signs of aging, alter your skin care routine. The right cleansers, serums, and toners can make all the difference.